1. 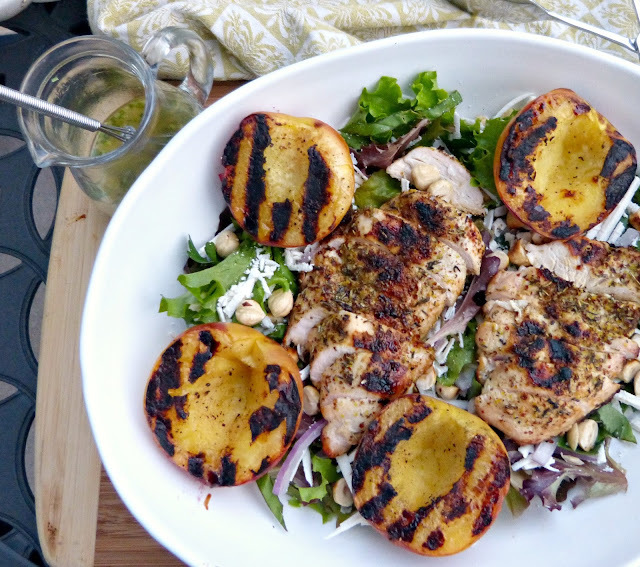 Grilled Chicken & Peach Salad with Dijon Champagne Vinaigrette - Hazelnuts, ricotta salata, and these charred grilled peaches are an amazing summer flavor combination. Add some grilled chicken for a fit for a summer dinner and glass of rose on the deck. 2. Tricolor Caprese Salad - A California twist on a traditional Italian salad. I love this satisfying salad on its own (perfect for lunch!) or as a side dish for grilled chicken or seafood. 3. Farro with Roasted Vegetables & Pine Nuts - This is based on one of my favorite orzo salad recipes, but I love to sub in farro for that nutty flavor and chewy texture. 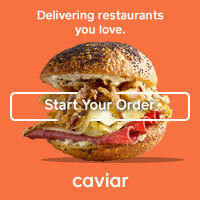 It's perfect to pack for lunch at the office or a picnic at the beach. 4. 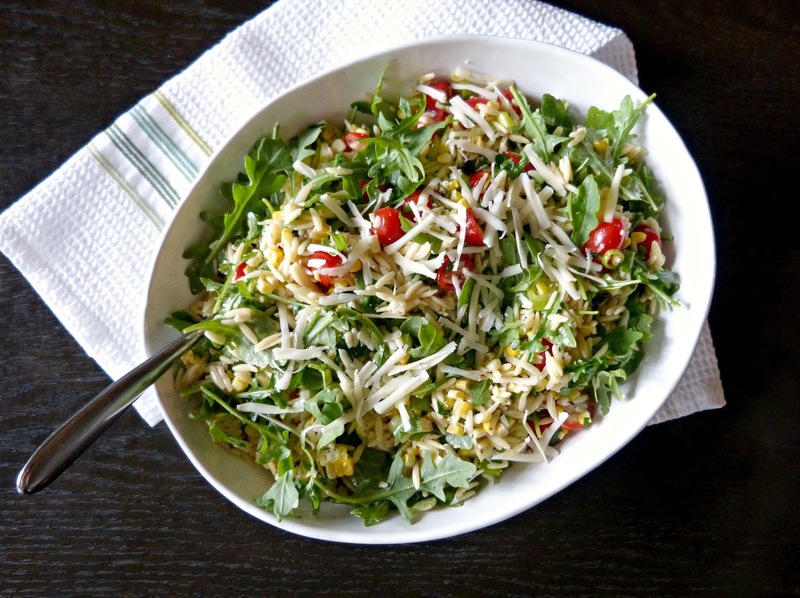 Orzo Salad with Corn, Tomato & Arugula - Sweet corn, spicy arugula, and tomatoes add fresh summer flavors to this easy orzo salad. 5. 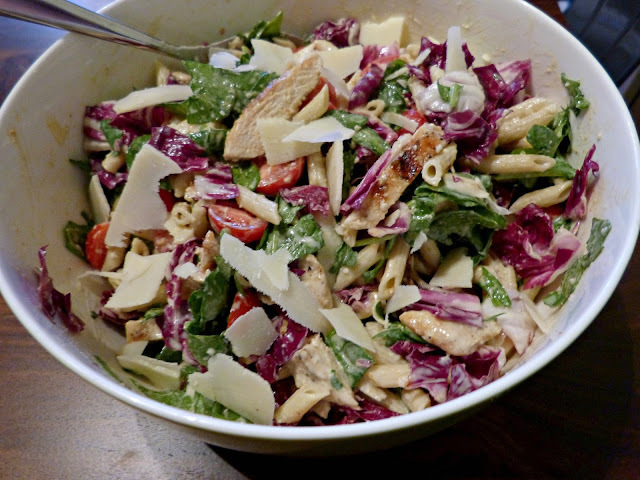 Chicken Caesar Pasta Salad - All the classic flavors of chicken Caesar salad in a cool and creamy pasta salad. 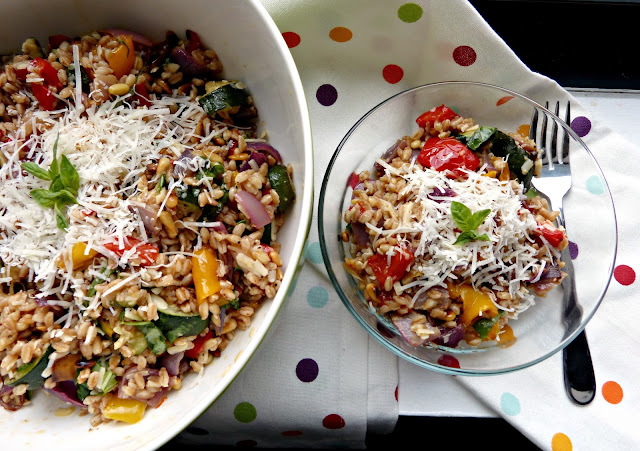 No croutons needed in this summer entree pasta salad! 6. 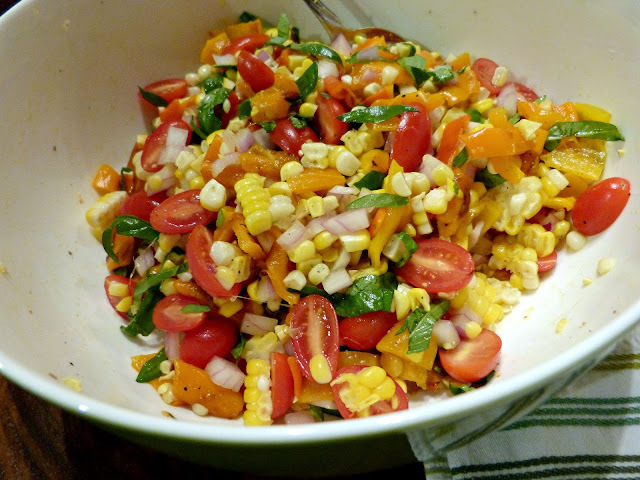 Sweet Corn, Tomato & Roasted Pepper Salad - I love this simple sweet salad as a side dish for grilled proteins like pork or steak. It would also make a great topping for tacos. 7. 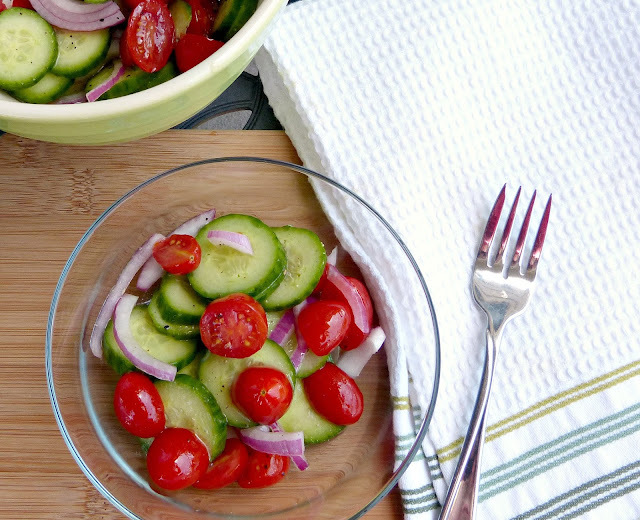 Simple Cucumber & Tomato Salad - One of my all-time favorite summer side salads. This sweet and sour combination couldn't be easier to make and it is super refreshing. 8. 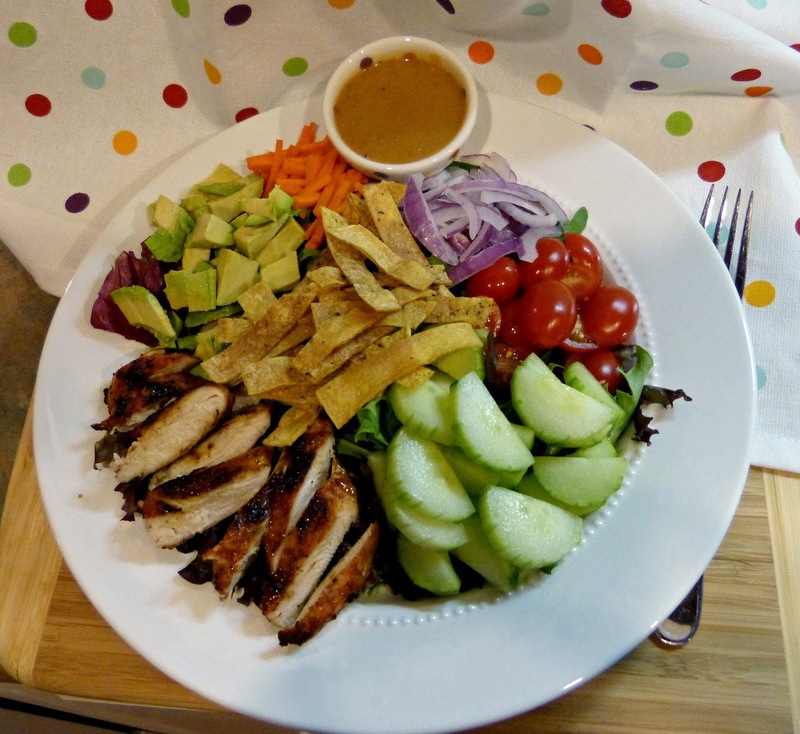 BBQ Grilled Chicken Salad - Nothing is better than barbecue in the summertime. 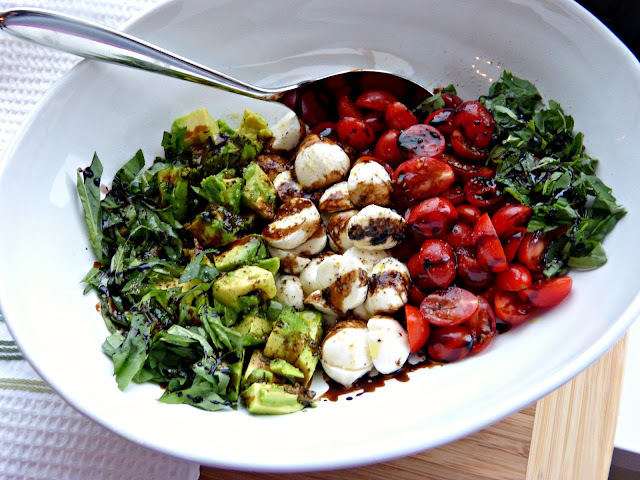 But if you want to enjoy the taste of barbecue without the heaviness of the sides, this salad is flavorful and perfect. And barbecue vinaigrette. 9. 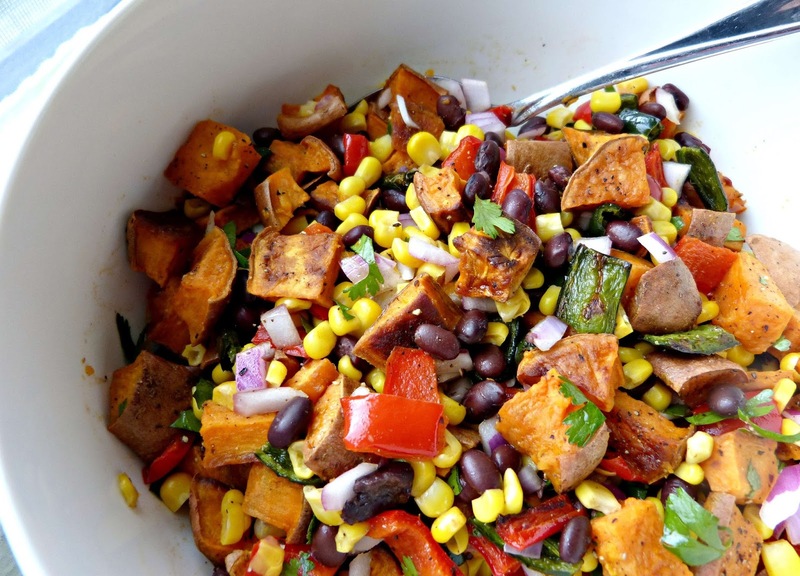 Southwestern Sweet Potato Salad - This accidentally vegan salad is filling enough to be a vegetarian entree. It's a fun healthy, and flavorful spin on traditional potato salad. 10. 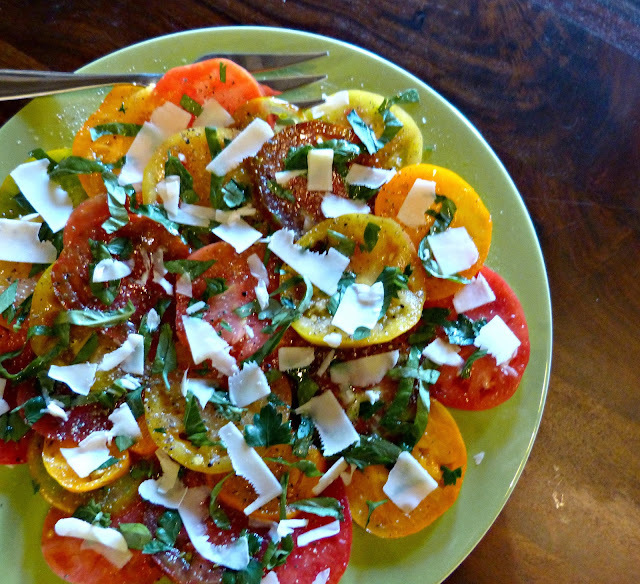 Heirloom Tomato Salad - This gorgeous salad is so simple to make. Vibrant multicolored heirloom tomatoes are simply dressed with lemon juice, olive oil, herbs, and shaved cheese for a colorful summer salad. Try it with steak! Thanks for stopping by, Neja! And agree-- fresh produce is the best!! This is such a huge variety of salads. I have never seen this variety on any page before. But few of them are not good for weight loss.